When it comes to being a man of many talents, there are few to equal Richard Norris. DJ, producer, musician, A&R man, author and journalist... his is a career of many twists and turns which have always seen him at the forefront of pushing new ideas forward and championing diversity and innovation, be it alongside Erol Alkan as part of The Wizard's Sleeve, or gone solo as the acclaimed Time & Space Machine. Tirk releases Richards debut as The Time & Space Machine in 2010. With the long awaited album imminent, we've decided to do a special single release of one of our favs to precede, alongside a brace of tasty remixes. 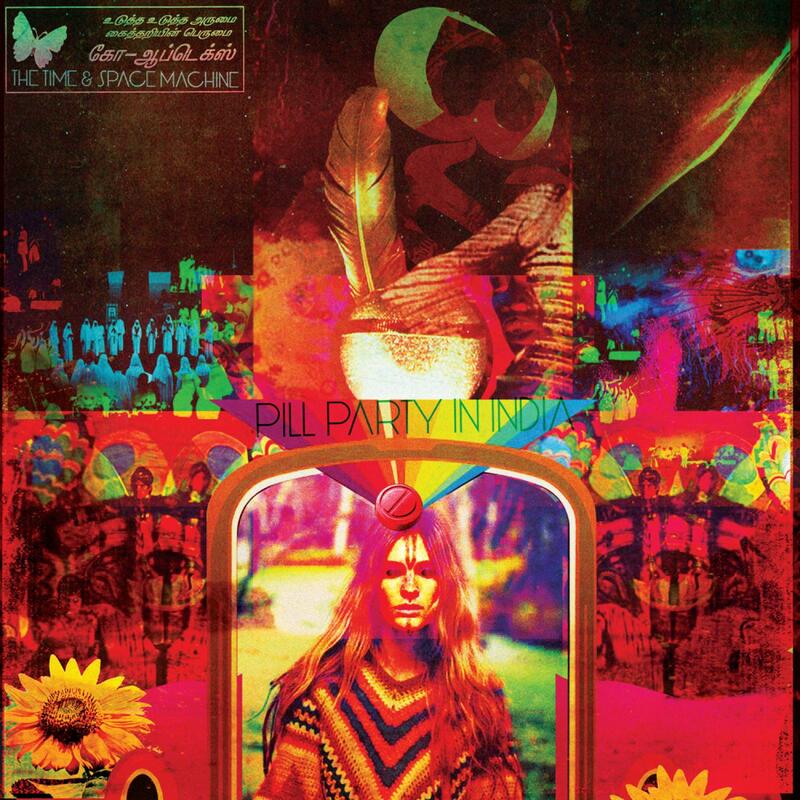 'Pill Party In India' is rich with the energetic twang of Exotica, carried down a highway of fast-paced bongos and live drums with interludes of blips, wiggles and ghostly sound-trails. Absolutely stunning. The first remix comes from our pet love, Psychemagik. It's a superb bit of work by our friends from the cosmic forest; The bass is chunky, mesmerizing sounds fly at you gloriously in super-wide stereo and there's some cracking vocal samples added to great effect too! To clean up, Mojo Filter delivers his 'Om Nama Shiva Remix.' Think squelching acid basslines under traditional plucked Indian instrumentation with strings and on-point production values and you're about there; this has to be heard to be believed! A sheer joy. Watch out for the 5 piece T&SM band, complete with mind frying light show, coming soon to a festival near you! Written and Produced by Richard Norris.